1) Naby is finding his way? 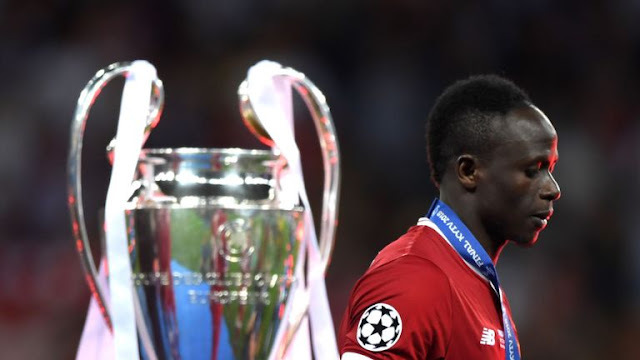 He was a player that every team was after but eventually, Liverpool managed to get his signature, despite having to wait a while before he turned up at Anfield. For me, I had high expectations and that was without really seeing him play a lot of football. Most would agree that since arriving Keita has struggled to make an impact but also has been the victim of a strong side and difficult selection choices for manager Jurgen Klopp. After scoring against Southampton though he seems to have found the confidence he required. Ok his shot on Tuesday evening was deflected but still to be getting into those dangerous positions and having a pop at goal is an improvement on recent outings for Naby. I really hope he can kick on from here. 2) Fab was fab Fabinho had a cracking game I thought, his timing of tackles is almost always perfect. He's risky at times but succeeds in breaking up play and frustrating the opposition. 1. Sadio Mane is awesome Mane is my favourite current Liverpool player and has been for a very long time. For me, he's extremely underrated and in the big games (remember the Champions League final last year) he's often one of few that turn-up. Yes, he makes mistakes, sometimes provides a poor ball or should pass and doesn't but watch him closely and you will see that consistently Mane is always making things happen. He's an extremely dangerous player who knows exactly where the goal is. His first goal at the Allianz was just incredible. The first touch and then to completely take out one of the best keepers in the game and finish so calmly? Just stunning. The Champions League returns to Anfield on Tuesday night as Liverpool prepare to face Bayern Munich in the last 16. The Reds have had a longer rest than most sides and took advantage of having no cup games this weekend to attend a warm weather training camp in Marbella. The team are in good spirits but injuries and suspensions could have an impact. 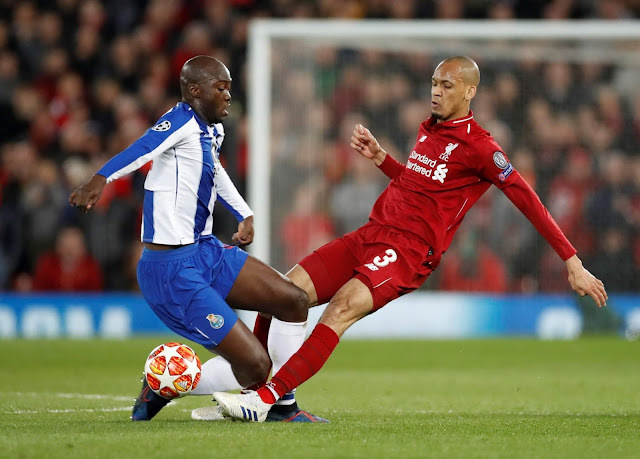 Liverpool are unable to call upon Virgil van Dijk who is suspended for this leg of the tie and with injuries to the likes of Joe Gomez and Dejan Lovren, it is likely Fabinho will be deployed in defence. 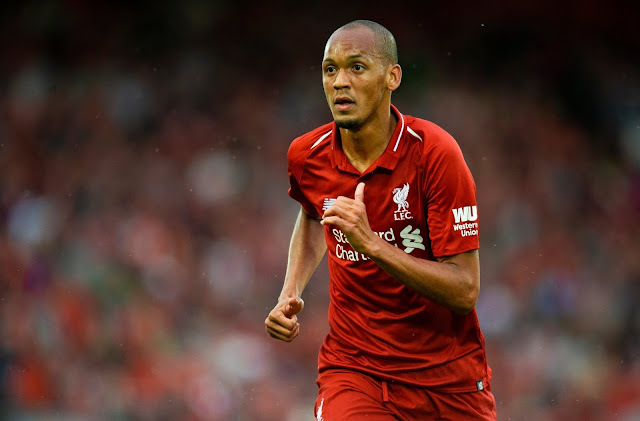 There is no denying the influence of Virgil on Liverpool's back four but I honestly feel like the Reds are prepared enough to deal with Bayern at home, Fabinho has looked convincing when he has had to step up and play in defence so we'll see what happens. Well, we needed a 1-0 win and that's exactly what we got. 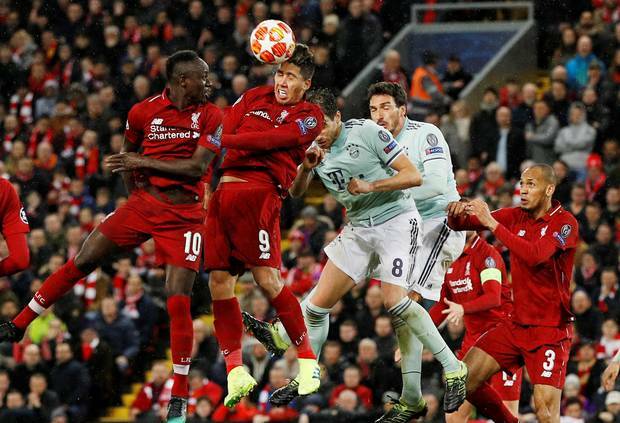 At times it looked as though the Reds would never find the net and even when we did the aim remained the same for Napoli which made for an extremely nervy final quarter of the game. 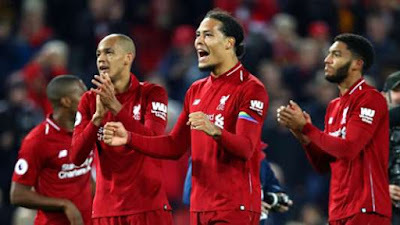 Forced into starting Joel Matip after the injury to Joe Gomez, Jurgen Klopp must have been hoping for a now-famous solid defensive performance from Liverpool but that was nearly hindered when Virgil van Dijk was shown a yellow early on. His tackle was perfectly timed, he won the ball and the ref wasn't even interested in the situation initially but somehow we ended up with our star defender on a yellow and missing the next match. It was a ridiculous decision. For me, I was a bit concerned because any defender on a yellow is going to play more cautiously and we needed Virgil to be able to step in if required. I shouldn't have worried though, he remained cool, calm and collected at all times and helped see his team over the line. Liverpool welcome Napoli to Anfield on Tuesday night in the Reds final game of the 2018 Champions League group stages. Sitting pretty at the top of the Premier League table after a 4-0 win over Bournemouth and a slip up by City, can Klopp's side also progress to the next stage in Europe? Assuming that PSG beat Red Star, which I likely but not a certainty, Liverpool must beat their Italian opposition at L4. A 1-0 win would be enough but if Napoli find the net, the Reds will have to win by two clear goals (where have we heard that before? ... GERRAAAAARRRRRD). Liverpool enter this game on solid form, winning all four of their last four league games. Napoli come into this strong but have picked up a draw in their last four Serie A games, a 0-0 against Chievo, alongside three victories. 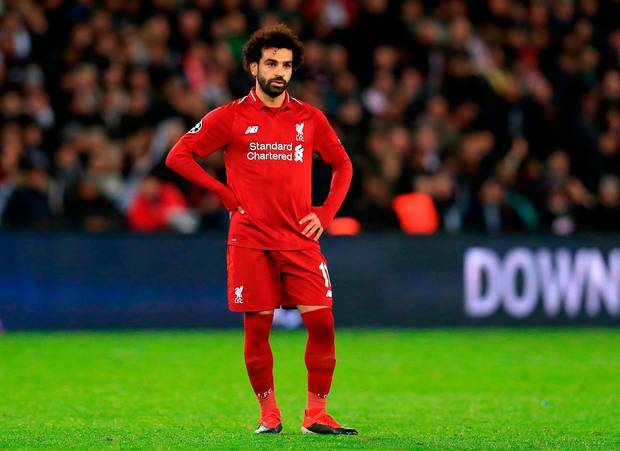 Liverpool fell to a 2-1 defeat in Paris on Wednesday evening, handing themselves a big blow to their hopes of progressing out of their Champions League group. Football stadia are often referred to as theatres but you could have been watching Shakespeare's finest last night with the amount of amateur dramatics on show, it really was embarrassing. Don't get me wrong, the Reds did not deserve to win that match for reasons I will attempt to go into but what do the PSG fans truly make of their star players rolling around like they've been shot every five minutes? It's frustrating as hell and it really ruins the magic of players like Neymar for me. I'd sooner back a world-class footballer that can stay on his pissin' feet. At one point Thiago Silva fell over with no Liverpool players near him, hit his head on the pitch and proceeded to roll around in agony like he was concussed. It's a bit of grass mate, get up. Jurgen Klopp's side travel to the French capital on Wednesday evening as the Reds look to try and put destiny back in their own hands. Liverpool do not have to win this fixture to go through, they don't even have to draw but things would be a hell of a lot easier if the lads can pick up some sort of result in Paris. The loss to Red Star out in Serbia was somewhat unexpected and has created a bit of an issue for Liverpool who would have been on nine points with two matches to go if they could have found victory. PSG is a hard place to go, the French fans know how to create an intimidating atmosphere and with players like Neymar and Mbappe they are always going to create a threat. 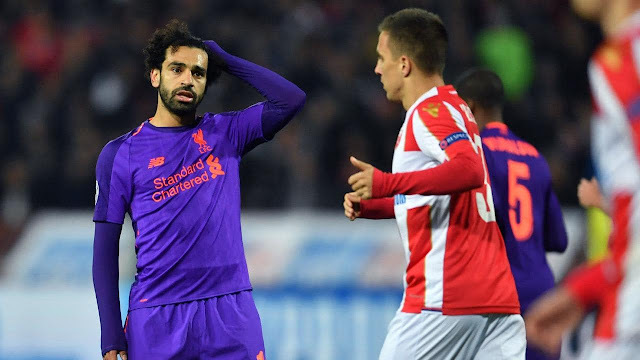 Liverpool fell to an embarrassing defeat at the hands of Red Star Belgrade on Tuesday evening. The trip to Serbia was always going to create problems for the Reds and when the home side found the back of the net first a rapturous support pushed their team further and further into ascendancy. Liverpool could have taken the lead when Daniel Sturridge failed to convert from about five yards out. It was very unlike the forward to miss a golden opportunity like that. This would be a chance Klopp's side would rue as the home side settled in. Pavkov found Red Star's first goal of the night after heading in from a corner just after the 20-minute mark. He easily lost his man and for once there were perhaps a few questions being asked of Liverpool's defence. 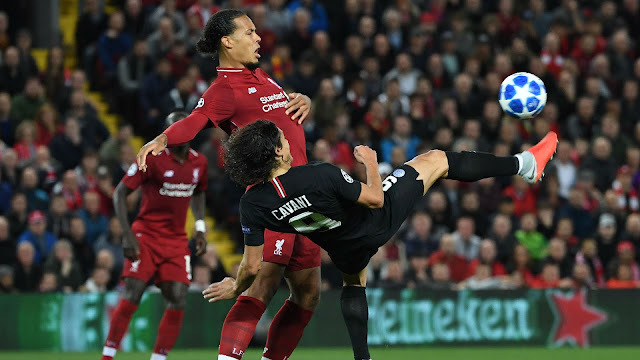 Despite injuries creating an issue for Jurgen Klopp, Liverpool won confidently on Wednesday night with a slightly altered XI captained by Virgil van Dijk. 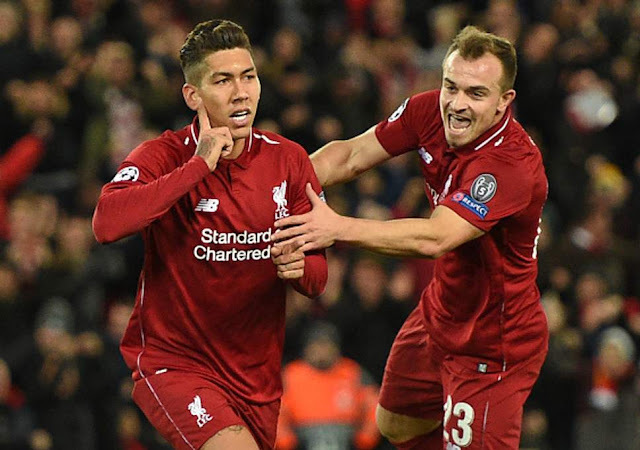 The Reds took a while to build into the game but got off the mark at 20 minutes thanks to a lovely strike from Bobby Firmino. The forward was set up by the brilliant Andy Robertson. 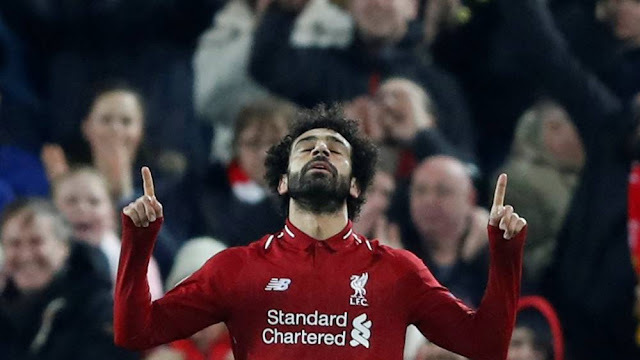 Salah found Liverpool a second right on the stroke of half-time and it was great to see him find the net again after scoring against Huddersfield. Some consistency for Mo will do wonders for his confidence and continued goal scoring. A few minutes into the second half Sadio Mane won a penalty. Some would argue it was a soft one but he was impeded in continuing his run for the ball so for me, it was a fair decision. Mo Salah stepped up to convert the spot kick making it his 50th goal in 65 games for Liverpool, absolutely phenomenal. 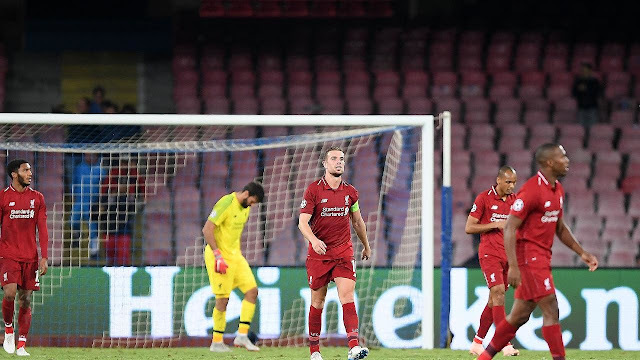 A frustrating result in Italy for Liverpool meant the Reds threw away a point in the 90th minute having somehow held on to a 0-0 draw for the majority of the match. The influential Insigne, who was always bound to have a say in this match, converted late on to send the tifosi wild leaving Liverpool fans utterly deflated. The game was an unproductive one for the Reds who failed really to call Napoli keeper Ospina into action. A front three consisting of Salah, Firmino and Mane would usually guarantee you a goal but not on Wednesday night. Added to the mix was an early injury to Naby Keita who went off clutching his back. At the time of writing, I believe he is getting checked over in hospital. It's hard to tell how much of an impact something like that has, especially so early on but it will have created an issue in Liverpool's momentum. Liverpool are in Italy on Wednesday night to face Carlo Ancelotti's Napoli. Carlo is a manager I truly admire and Italian football is something I love so I am very much looking forward to our Champions League tie this week and hope the Reds can come away with a win. One of the top supported clubs in Italy, Napoli have started their season well and currently sit second in Serie A, six points behind leaders Juventus. Their record in the European Cup is relatively strong and Naples always proves to be a difficult venue for travelling teams. Players like Insigne and Hamsik can pose a real threat in this match with the former being 2nd in the top scorers' list in Italy at the moment. There are no injury concerns for Napoli and Jurgen Klopp now has Dejan Lovren back and could potentially call upon the World Cup finalist for his back four selection. Prior to the match having seen the starting line up, I was all over Sturridge to grab Liverpool a goal. So convinced was I that I popped a quid on a Daniel Sturridge 3-1 scorecast (close to winning bloody £35 quid!). On Twitter though I was met with an interesting reaction, I was being too optimistic with the scoreline, Sturridge would never score etc. 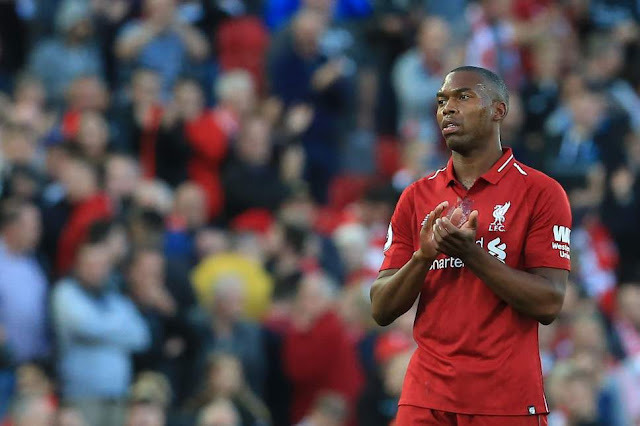 I think sometimes fans forget how prolific Sturridge has been in his career, give him an opportunity like a night under the floodlights against PSG and he will make you proud. I was elated to see him dancing in front of the Kop after a cracking header. 2) PSG aren’t actually that good? Supposedly one of the best teams in the world I think PSG put on display some of their weaknesses on Tuesday night. Yes, they have some superstars in the team but they left masses of space for Liverpool to attack and for me lacked in intensity when out of possession. 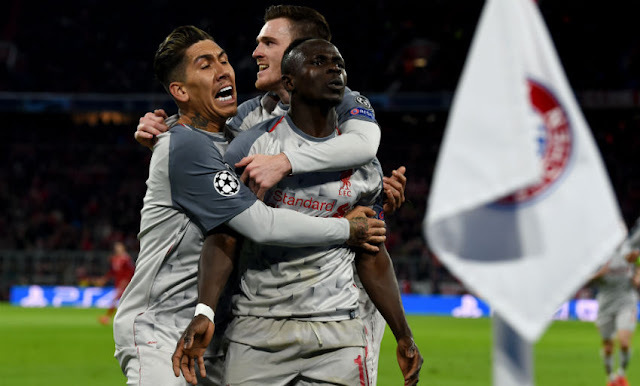 Liverpool have just learned their fate in this season's UEFA Champions League as the Reds were drawn from Pot 3 into Group C. The draw, as always, has produced some tasty ties and Jurgen Klopp's team have been left with a strong group of teams. Headed up by PSG, Group C is completed by Napoli, Red Star Belgrade and of course Liverpool. It's a tough group, there's no hiding from that but the majority of groups were filled with tricky opposition. I personally think we'll be ok. Those three sides are going to be bricking it as much as we may be. The prospect of Anfield is a frightening one for any visiting club whatever your calibre in Europe. I am confident that the Reds can pick up maximum points at L4 but the trip to PSG and more so actually Napoli concern me slightly. Napoli have always been a very good side and to add to that they now have Carlo Ancelotti at the helm, a manager who I very much admire. 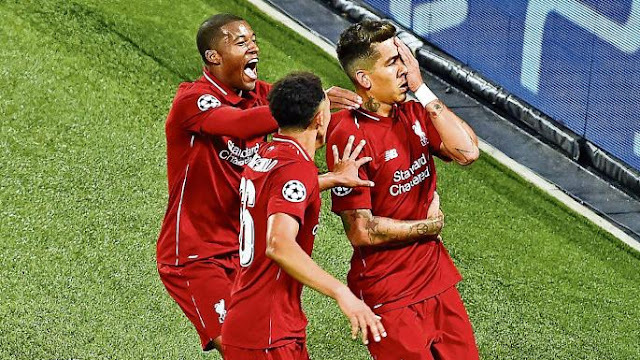 World Cup fever may have set in but in the breaks between matches, here's my review of Liverpool's 2017/2018 season if you fancy a quick read. August 2017 - October 2017Liverpool opened the 2017 Premier League season by battering Arsenal 4-0 at Anfield. It was an extremely dire performance from the Londoners but the game allowed Jurgen Klopp to get off to a winning start. Unfortunately for the Reds, Liverpool's August form would not run into September. This time, it was Klopp's side on the end of a battering when Manchester City put five goals past us at the Etihad. 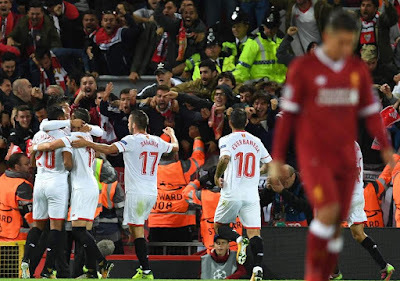 A 2-2 draw with Sevilla opened up what would turn into a superb Champions League campaign but the Reds also crashed out of the League Cup, losing away to Leicester.